Busy was it in today’s lunch restaurant Rakumi in Ishigaki city. The cozy narrow space, which is so typical to main island Japan restaurants, was packed with people. Mainly Japanese tourists. 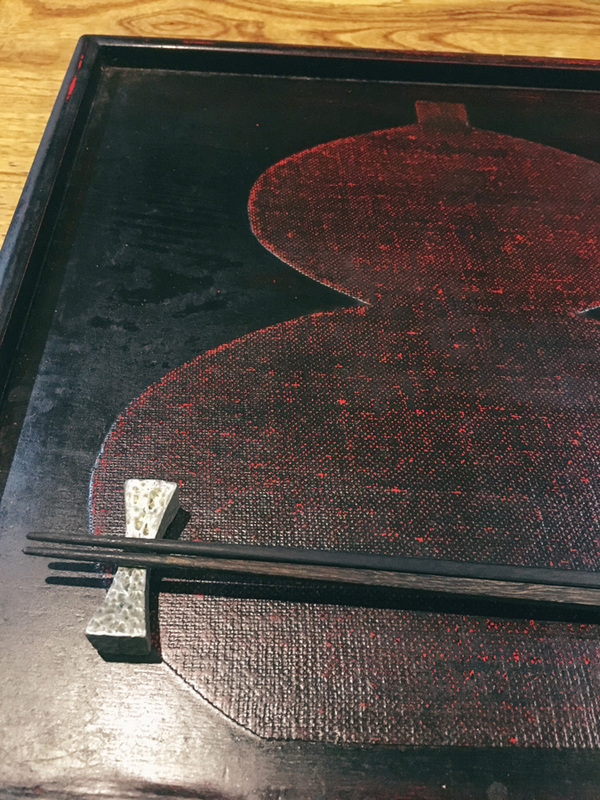 Rakumi’s owner and chef originally comes from main island Japan and cooks great kappo style lunches and dinner. The entrance has a Japanese design as well. The chef here prepares your food in front of you, as you sit at the counter. The Japanese way of working, I noticed, has it’s specialties. Travellers who saw train operators doing their job with care and precision, know what I mean. The operators use physical gestures and vocal calls. A safety method that reduces errors. It crossed my mind while watching this chef. It would be funny if he would use vocal calls, he’s not. But he is definitely following his routine. Cleaning his kitchen worktop or his knives. 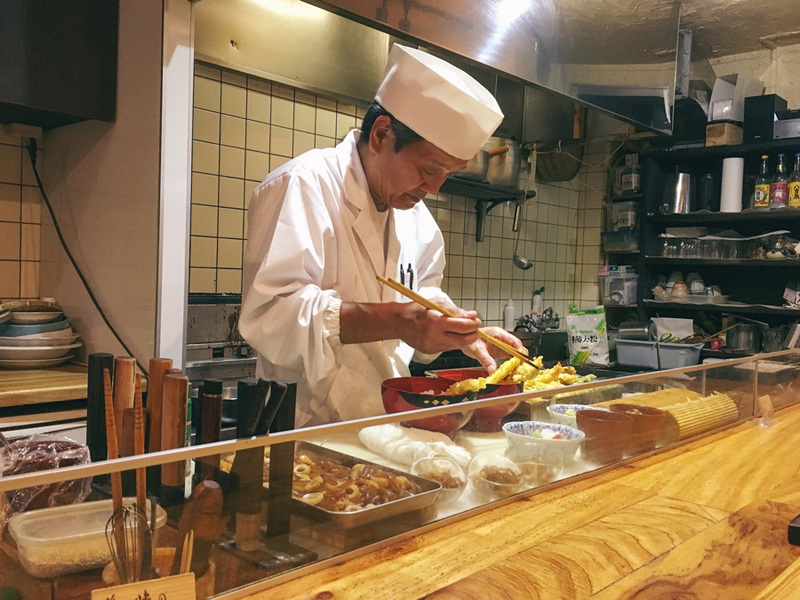 He cuts the fresh seafood or deep frying the tempura in a flow. It’s fun to see the chef’s skills come to life in his own style. The lunch menu shows seasonal ingredients from main island Japan. 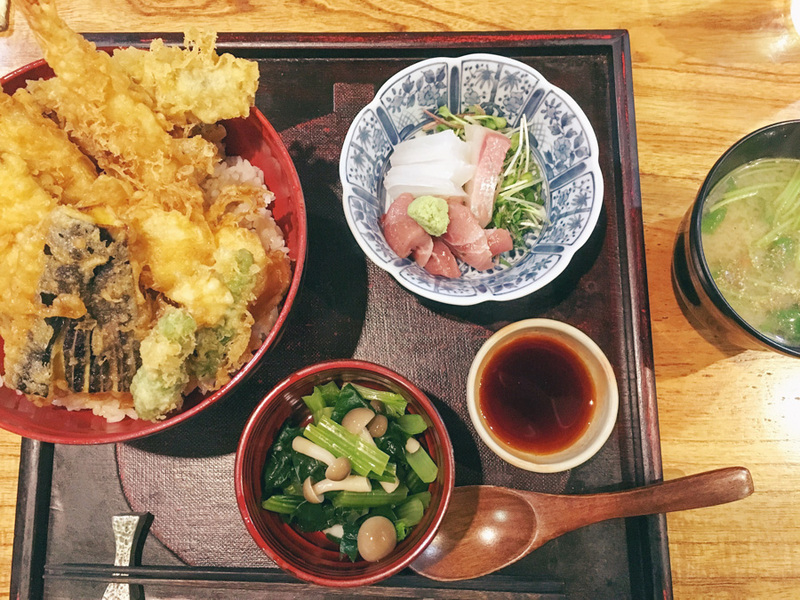 A daily dish, a soba dish, sushi and a rice bowl with different fishes and vegetable tempura, sashimi and miso soup. The rice bowl was generous and very tasty. We went here once for dinner in autumn and much enjoyed it as well with autumn mushrooms and vegetables. 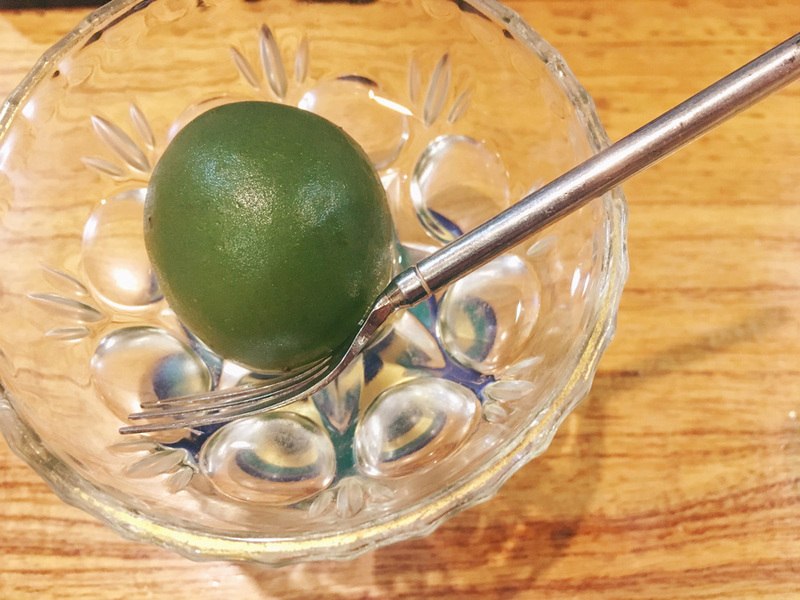 A juicy plum for dessert. 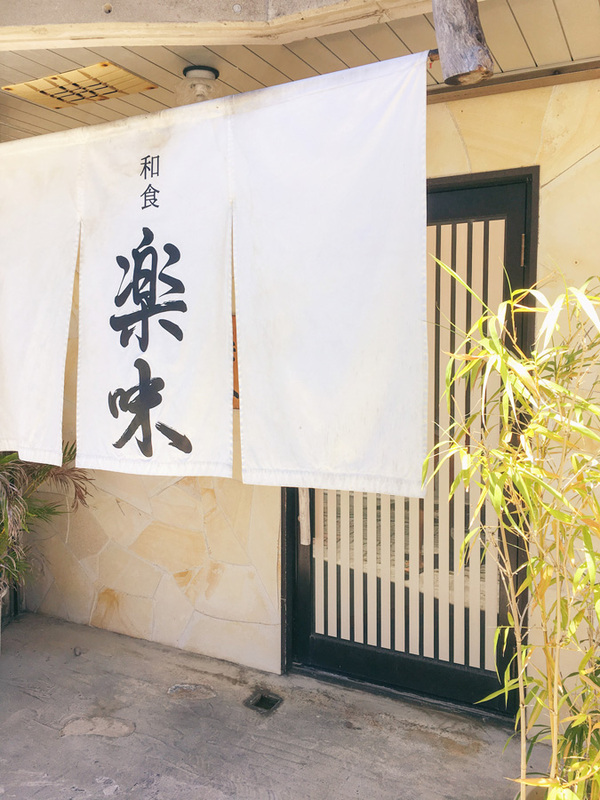 Rakumi serves typical main island Japan food, so if you’re looking for good quality food this is a place to go. One of our personal favourite restaurants is Shrimper, a friendly family runs this restaurant with lots of seafood on the menu.